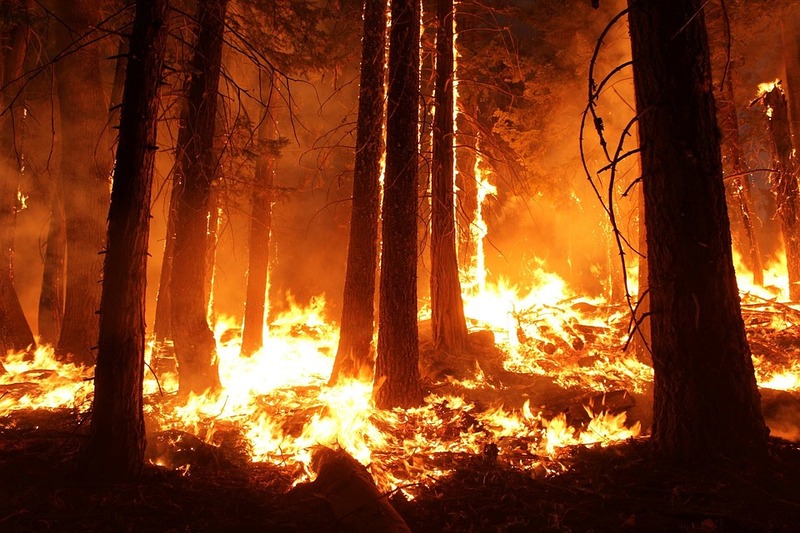 FRESNO, Calif. (AP) — Tall grass from a deluge of winter rains is fueling wildfires throughout the Western U.S., damaging more than a dozen homes in Nevada and forcing residents from communities on the outskirts of Yosemite National Park in California, authorities said Tuesday. The fire burning since Sunday also puts at risk powerlines providing electricity to the park, and it has closed roads travelled by tourists, officials said. Gov. Jerry Brown on Tuesday declared an emergency, bolstering the state’s resources to battle the fire that he said has forced thousands of residents to flee and is expected to continue burning. Record rain and snowfall in the mountains this winter was celebrated for bringing California’s five-year drought to its knees, but it has turned into a challenge for firefighters battling flames feeding on dense vegetation, officials said. Smoke from the fire in Mariposa County has drifted more than 150 miles away to Reno. In a remote northeastern corner of Nevada, roughly 14 homes were damaged or destroyed by a wildfire that started Monday. Officials have lifted an evacuation advisory, allowing hundreds of people to return home and assess damage, authorities said. In Nevada, wind is driving the flames through invasive cheat grass — growing twice the norm, U.S. Bureau of Land Management spokesman Greg Deimel said. This summer’s high temperatures follow a very wet winter that dumped more than 60 feet of snow at ski resorts in the Sierra west of Reno. The California blaze near Lake McClure east of Modesto, has charred more than 24 square miles (62 square kilometers). Officials report having it 5 percent contained. It’s burning near Highway 49, a historical route winding its way up California foothills of the western Sierra Nevada dotted with communities and landmarks that sprouted up during the state’s Gold Rush. To the south, crews have increased containment of a 29-square-mile (72-square-kilometer) blaze burning for a 10th day in the mountains of Santa Barbara County. It is 62 percent contained after destroying 16 homes. Smith reported from Fresno, and Sonner reported from Reno.